Sewer lines help transport waste water from your home into underground sewer mains. Most homeowners give little thought to their sewer lines until a issue arises. 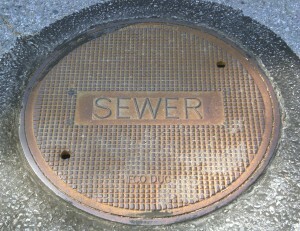 Sewer lines should be inspected before they cause a major headache. A clogged sewer might be unseen, but if the problem goes untreated it could cause extensive damage inside and outside of your home. Sewer line clogs can be caused by something that was flushed down the toilet or from normal build up over time. If you have older pipes tree roots may also cause a problem. Tree roots can creep into your pipes, crack or crush the line causing sewage flooding in your yard or spill into the street. No matter how big or small the issue is, it can be fixed by our specialist. Bob Oates plumbers are top rated for their sewer service in Seattle and is your best choice for video sewer inspection. We will show you video in real time of your sewer line and locate where the trouble stems from, with out having to dig up your yard. Bob Oates Sewer, Rooter, and Plumbing professionals will give you a complete evaluation on the condition of your pipes and will present options for sewer line repair or sewer line replacement if necessary. Short of replacing your pipes, hydro-jetting is the most efficient way to clear pipes of blockages with out damaging the surrounding areas and infrastructures. If toilets and/or drains start to backup due to your sewer call us and we will send over one of our technicians to resolve the problem. For day or night 24⁄7 emergency service call 206-789-4944.